Last Saturday I attended the first USAnaphylaxis Conference hosted by the AANMA in Washington, D.C. When I got back I thought I would be writing about what I had learned there. Instead I had to put it into practice. My kiddo is ten years old, and we've been managing his food allergies since he was a four month old infant. In all these years, we had never used an Epi-Pen. This week that changed. Monday evening didn't get off to a great start. I had returned from the conference, but the house hadn't recovered from my absence. My husband's car was in the shop, so he took mine to work and I had walked the kiddo home from school, only to get caught in the rain halfway back. After making it home I tossed him into a warm bath and gave him a cozy set of sweats that he could wear to bed later. Then we ploughed through his homework and I made dinner. It was a stir fry with rice, turkey sausage, bok choy, carrots, green onions and a handful of snow peas. Afterward he had a frozen fruit bar, his usual glass of soy milk and his meds. About an hour after he went to bed, my son wandered into the living room complaining that his tummy hurt and that his throat and tongue were itchy. I wasn't sure what was going on, so I let him sit up with me. Although I was tempted to give him Benadryl, I held off, since I've learned it can mask the symptoms of a worsening reaction. (Now I only use it to treat hives from skin contact.) Within half an hour my child's lips started to puff, his voice became slurred and he complained that his throat felt like it was getting tighter. This was clearly the moment of decision. Still, I hesitated. I didn't want to use the Epi-Pen. If my son needed CPR I wouldn't question the necessity for a second. Why didn't I want to use it? Was it because I didn't want to admit the life-threatening nature of my son's reaction? Was it because I dreaded calling an ambulance to go to the hospital? 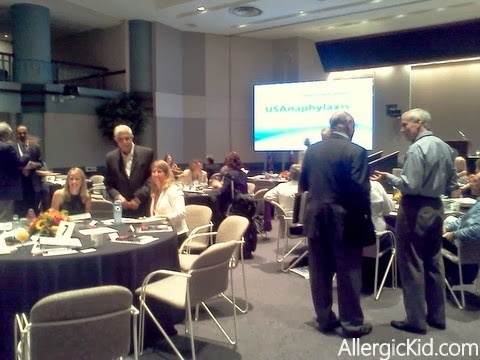 At the conference, one of the presenters had described several scenarios in which children had symptoms of anaphylaxis and yet parents, including physicians, had hesitated to give epinephrine. After listening to each case, the room full of allergists and nutritionists, advocates and bloggers, would groan. I imagined this room full of people dedicated to keeping allergic children safe hearing a description of my son's symptoms. Then I got the Epi-Pen. Although an Epi-Pen can be used through clothes, I pulled down my child's sweats, because I didn't want the thick fabric to cause me to give it in the wrong location. My son suddenly became afraid of the needle, and I spent precious minutes calming him down. Then I took off the cap, pressed the orange end into the side of my child's thigh, heard the click and counted to ten. My kiddo howled in protest. Using the Epi-Pen was easy. Deciding to use it was one of the hardest things I have ever done. The ambulance crew arrived and whisked us off. My son had a great time in the back of the ambulance, asking about the functions of all the machines. At the hospital he was checked again and put under observation. My husband met us there and I finally started to relax. About an hour after we arrived, my son's tongue and throat started to itch again and he was treated orally with Benadryl and prednisone and we waited some more. In talking with the nurse, I discovered that I was not the only one nervous about using the Epi-Pen. She said that many people who came in for an allergic reaction were actually holding it in their hands, but hadn't used it. After that my son stayed under observation for another few hours. We finally went home at about 3 AM. The next day we recovered and my detective work began. Almost everything my son had eaten the night before came from packages of food that my son had eaten from previously without problem. The only exception was the new bottle of soy sauce that I had opened while making the stir fry. I checked the Kikkoman website, then sent the company an email. I received a phone call back from them literally within minutes. After a short conversation I discovered that the Less Sodium Soy Sauce is manufactured on the same line as the Garlic Teriyaki Sauce. (My son developed an allergy to garlic about a year ago.) Other sauces with milk and shellfish are manufactured on different equipment in the same facility. So the soy sauce is my most likely suspect as the probable cause of the reaction. After the incident with the bread, I'm starting to wonder if I will have to stop using all processed foods. I've been reading tomato sauce labels with dismay, since all the brands at the store have garlic in them, which makes me question whether I can safely use any other tomato products from the same companies. I feel like I'm heading down the rabbit hole and my cooking is going to be even more restricted. We saw the allergist yesterday, and just like everyone else, he said that I handled the reaction correctly. My son doesn't seem to be the least bit traumatized, and other than the reaction itself and being stuck with the needle, enjoyed the adventure tremendously. I'm still a bit shaky and owe a huge debt of gratitude to the AANMA and to Mylan for sponsoring the summit and giving me the tools I needed exactly when I needed them. Disclosure: I attended the USAnanphylaxis Summit as a guest of the AANMA. All opinions are my own. How scary at the same time I am sure you feel relieved to have been able to use it. My son is allergic to Garlic as well and we eat out a lot and so I get worried about him as well. I loved your article and I know that as a food allergy parents we have to go above and beyond to make sure our sweet ones are not going to get hurt. Lots of love and hugs!! Your doing great!! I am so sorry to hear about your challenging return home and your sons reaction! I am so grateful you attended the Summit and so grateful you acted bravely and boldly to save his life! You my friend are a true hero! 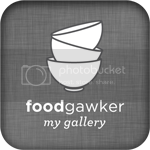 May I share your story in our website and can we call you about an article in the magazine? Thank you for sharing your experience! I'm so glad that he's doing great and handled the process so well. Choosing to use the epi pen is so scary and yet why? I think you hit the nail on the head for me at least in that using it means a life threatening reaction and even though using it SAVES the life admitting it needs to be saved is a hard thing. I was that mom who brought my kid to the ER, epi pen in hand, but didn't use it. I thank God my son survived that experience but I know now that he very easily could have died because I didn't act. I hate food allergies. I pray there won't be a "next time" for me to get tested again but if there is I'm not going to hesitate to use it again. I'm sorry you both had to go through this but I'm also so thankful for everyone that has been a part of your epinephrine awareness! I can only hope that your story can also educate others in the importance of using epinephrine. Like Tonya said, you are a true hero!! Great job!!! Sharing this is so important and I got chills thinking of people holding epis in their hands unused. I don't know if we're nervous about using it because of what it means, as if there's an aspect of denial...? 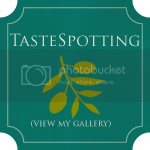 Thanks for sharing this post. 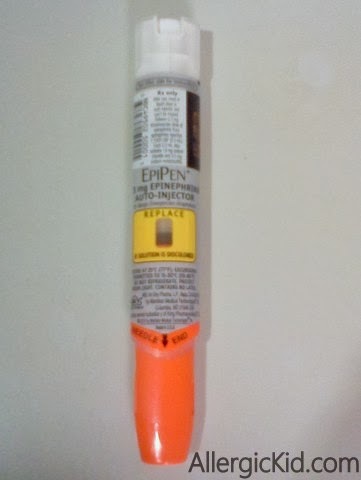 Hi- as an asthma sufferer with a couple of anaphylactic reactions (other than soybean oil- no food reactions)- I have used my epipen for both asthma attacks AND allergic reactions - its extremely scary for the parent - I was more willing to take it than my mom - probably b/c I was feeling the symptoms and I knew I should have died. So sorry this happened, but I'm glad it worked out okay! I love your statement about how easy it is to use the epipen, but how hard it is to decide to use it. Thank you for sharing your and your son's story as it helps us all to learn. 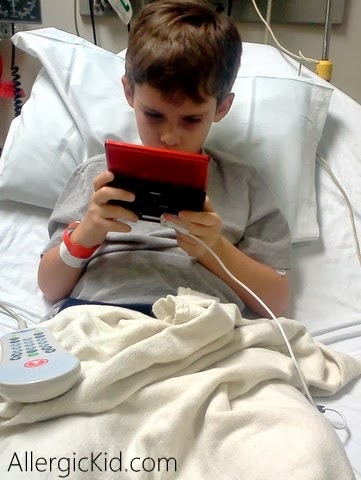 Wow, I'm glad your son was ok. We see some patients come to our hospital because of food allergies (which can be a lot more serious than people think). We also get quite a few people who call because they injected themselves with an epipen by accident. Most of the time we just monitor them and they end up just fine, but occasionally the side effects need to be addressed.